The Private Newspaper Publishers Association of Ghana(PRINPAG) has lauded the government for it's bold decision in passing the Right to Information Bill to law. In a press release signed by the President of PRINPAG Kenteman Nii Laryea Sowah, he extended his congratulations to the leadership of Parliament led by the speaker Rt. Hon. Prof. Mike Aaron Oquaye. 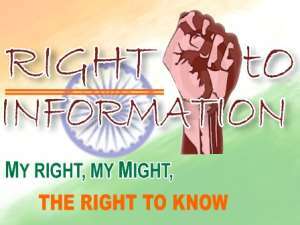 He said the RTI law will help strengthen press freedom in the country. "It is therfore our hope that the law will be implemented in a manner devoid of biases," he said. PRINPAG urged the Ministry of Information to ensure that the RTI law is implemented to the latter to help deepen good governance, accountability, transparency and democracy in Ghana. Parliament on Tuesday, March 26, 2019, finally passed the RTI Bill into law pending Presidential accent after spending close to two decades in the house. The Bill was passed following the completion of its consideration stage after several policy changes, amendments and months of rigorous debates on the Floor of the House. On the occasion of the passage of the long awaited and much-publicized Right to Information (RTI) Bill into law, the entire membership of the Private Newspaper Publishers Association of Ghana (PRINPAG) join the millions of Ghanaians in celebrating this laudable landmark and development in our national discourse. To us at PRINPAG, this is a very important Law, whose passage will help broaden the frontiers of media freedom, which will also enhance the journalism profession and practice in the country. It is in this regard and to also further that belief that, PRINPAG became a pioneering member of the RTI Coalition, whose first meeting was held at the British Council in Accra in the year 1998. In order to ensure that, the Law is passed to the benefit of Ghanaians, PRINPAG participated actively in all the subsequent meetings of the Coalition held in various parts of the country, to conscientize Ghanaians on the need to support the passage of the then RTI Bill into Law, in view of the benefits that could be derived from its passage and implementation. PRINPAG congratulates the government of the New Patriotic Party (NPP), led by President Nana Addo Dankwa Akufo-Addo, for the bold decision in ensuring that, the Bill is passed into Law. Again, PRINPAG congratulates the Parliament of the Republic of Ghana, especially its leadership, led by the Speaker, Rt. Hon. Prof. Mike Aaron Oquaye, Hon. Osei Kyei-Mensah Bonsu, Majority Leader and Leader of the House and Hon. Haruna Iddrisu, Minority Leader and Member of Parliament (MP) for Tamale South, for spearheading and for also spending time to deliberate on the then RTI Bill, sometimes having to sit late into the night, to ensure that, the Bill was fine-tuned and finally passed into Law. PRINPAG is of the view that, even though the passage of the RTI Bill into law was long overdue, it is better late than never and we believe that, Ghanaians will be the beneficiaries if its implementation begins any time soon. PRINPAG therefore welcomes the formation of the RTI Commission and urges the Minister of Information ensure that, the RTI law is implemented to the letter to help deepen good governance, accountability, transparency and democracy in Ghana.